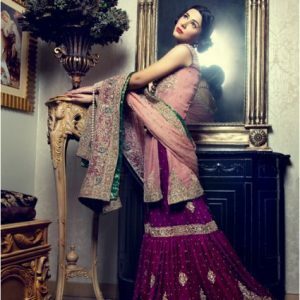 Tags: Back Trail, Frock, Front Open, Lehenga, Mehndi Mayon Henna, Yellow. Yellow front open back trail embroidered gown. Block printed border implemented on hemline. Block printed dupatta finished with banrasi piping. 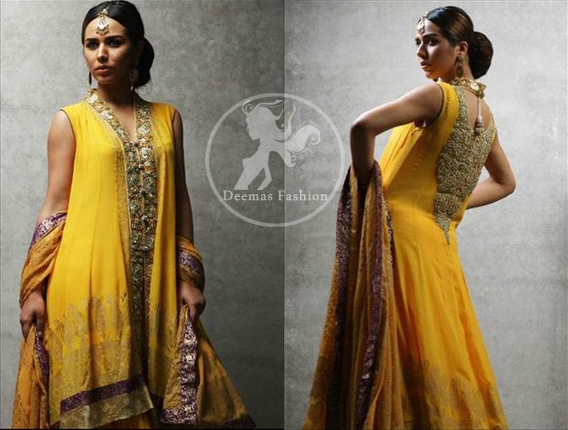 Yellow crushed chiffon lehenga.